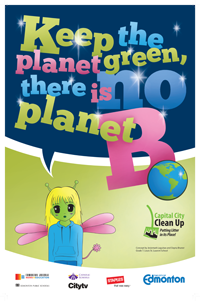 Capital City Clean Up offers programs to all Edmonton students so they can become active citizens in their community. 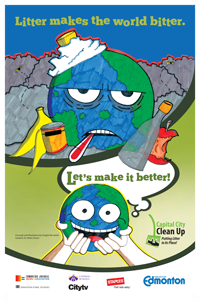 Participating in school-based anti-littering initiatives can help change behaviours and positively affect the cleanliness of schools and the community. Children from kindergarten to Grade 12 can take part in these programs. The only exception is the Junior Wildlife Ambassador Program, which is aimed at senior elementary pupils.